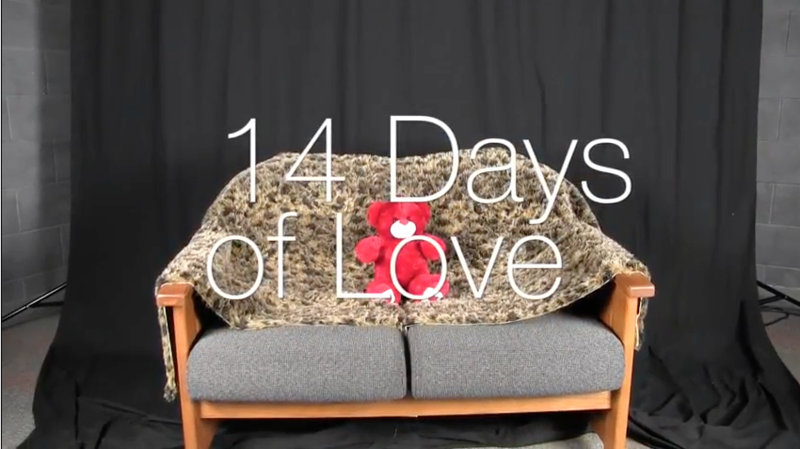 The first 14 Days of Love aired on Feb. 1, 2013 featuring the first ever 14 Days of Love couple Nicole Andrews and Cullon Greene. 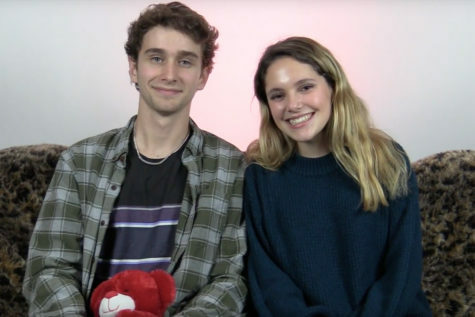 Since then, 55 more totally in love couples have been brave enough to record and then project their high school relationship on the internet. Also starting in 2013, a former couple got up the guts to go in front of a camera and talk about how their relationship didn’t work out. 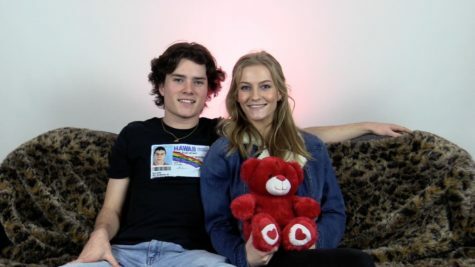 This year’s 14 Days of Love is only days away and in preparation for the 5th year of this Red Ledger classic video series, we, the two editors/producers, Hallie Fischer and Mary Catherine Wells, are going to countdown our top 10 favorite 14 Days of Love couples of all time and then our favorite breakup couple. Although these couples may not be together today, each video had a certain quality or qualities that made it worth watching again. Twitter was the way the first move was made in this relationship. The couple is always laughing about their first “flirting” attempts on the popular social media platform. Also, the story about how the couple became official is a must-watch. Make sure to watch the part about the romantic gesture of “feeding the cows”. This couple creates a charismatic atmosphere to the studio which puts it on our top 10. One of the first sentences the couple state that they have been dating for 8 months, which is small compared to the now 2 years and 8 months. Their sweet personalities mix perfectly on camera. These two sophomores have gone through the mountains and valleys of high school together and with graduation around the corner, they are still going strong. Make sure to watch these two love-birds’. This couple comes on screen and immediately creates a fun atmosphere in the studio. They talk how they’ve know each other since middle school which explains why this couple is so comfortable with each other. Who knew Geometry could create such a romantic atmosphere? Also, their favorite characteristics of each other are very genuine and sweet. Their homecoming proposal story is very unique. A great couple to re-watch. Liz Sachsel, the past Red Ledger editor and one of the founders of 14 Days of Love has a reasonable spot on this list with her boyf Michael. These two act like best friends on camera and their friendship really makes their on-camera time really relaxed and carefree. This couple is a great example of a couple who has really mastered how to look in love but not too-mushy on camera. When the video filmed, this pair had been together a little over two years. These good friends that turned into lovers compliment each other greatly since it is evident of their friendship as well as love for each other. A best quality of Haylee is how she “understands everything” while Haylee enjoys how funny Austin is. Sharing a trip to Mexico was one of their favorite memories where they got to jet ski and go into town. Don’t forget to check out this pair. Even though these two teachers don’t teach in the district anymore, their sweet, simple engagement love is so fun to watch. They give a lot of great advice for teens about relationships and about being a young adult in general. From waiting for “the one” to knowing what you want in a relationship, this couple is a great example of a mature, committed relationship. We wish the best of luck to the newly weds. 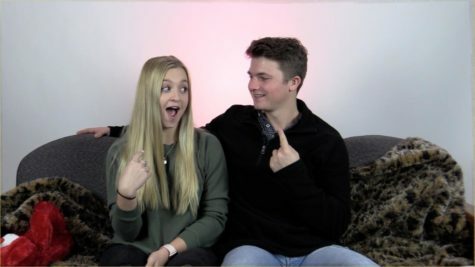 These two start the video with some awkward faces and some preparing. The dynamic between these alumni makes watching their video anything but a chore. They always are making jokes about how one doesn’t remember an anniversary or certain fact. 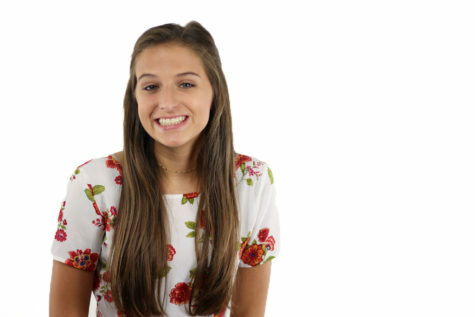 Sammi trying to keep her jokester boyfriend, Tanner, in check makes this episode one worth re-watching, even though it’s from the first year of 14 DOL. 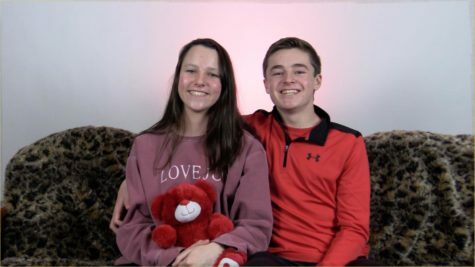 Although they seem a bit quiet at the beginning, this freshman couple that had been dating since 6th grade, are very entertaining. 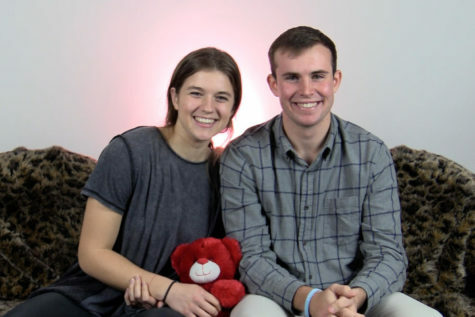 They talk about their transition from “just texting” to becoming a couple, and reminiscing to their middle school years is fun for everyone watching. Because they had been dating for so long, these “best friends” tease each other and tells of their funny stories and creates one of the best dynamics of any episode. 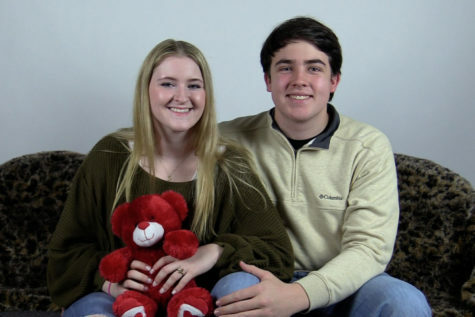 You may want to look out for this couple in the 14 DOL future. These two married teachers taught at the high school together then and still teach at the high school together now. 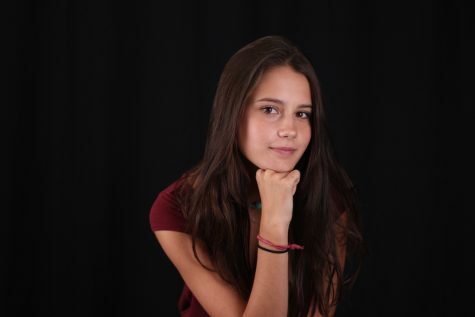 At first meeting at a summer camp and having a summer love in high school for a few summers in a row, they did not officially date until in college. After “thinking about getting married since 15” the two officially tied the knot after the Thanksgiving break after becoming official. Its obvious the love and friendship between the two as they discuss the journeys of their relationship on camera for the high school to hear about. Within the first two minutes of this video, James calls Sierra a “princess” and that is basically how this video goes. James keeps telling the editors how in awe, basically, he is of her. The combination of these two sweet personalities makes everyone want to be in love. Add in their favorite memory of mud-slide soccer, and this video could come straight from The Notebook. These love-birds’ video is definitely worth re-watching.